I started doing something today that may turn out to be just a “trick” but I think it’s a good method for teaching tempo and internalizing tempo. From day one I am either clapping or snapping or tapping the student’s tempo to get them used to thinking a stable tempo and following said stable tempo. To internalize the tempo you need to be able to play without an outside audio or visual source to keep you metered. As I clapped along with the student’s playing I slowly decreased the volume of my clapping until it was slight tapping and then softer until I stopped clapping at about measure 12. Perfect results. The rest of the piece was played in consistent tempo. I believe the student was still “hearing” the tempo because I did not suddenly stop giving her a meter. It faded away in the tangible, but was available to her subconsciously. I like to write my own jazz charts. I also share these charts with people who gig with me, so I hate to send someone a PDF of a hand-written chart. 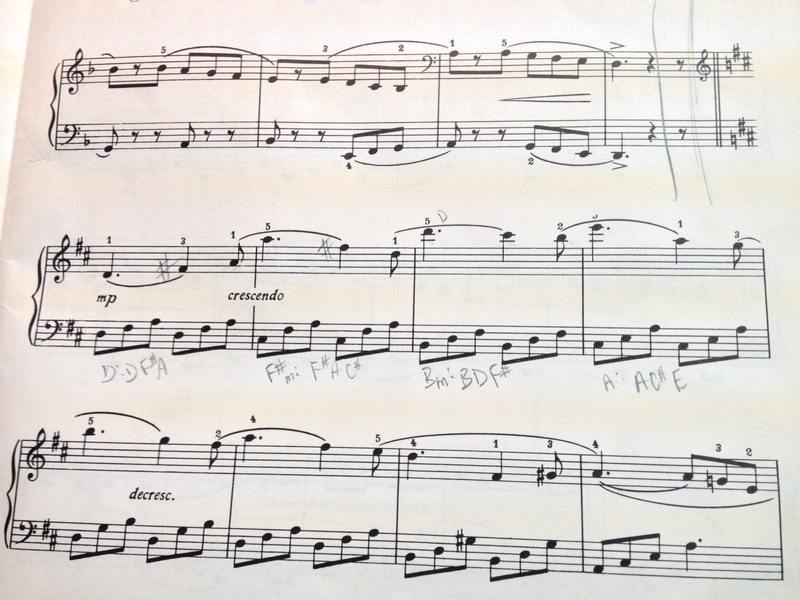 Although I have adequate handwriting for notation it is simply not very professional. I had been using Finale Songwriter ($50) for Mac. It’s pretty amazing, but for someone who just in the last year began to use notation software regularly it can be frustrating. It’s a watered-down version of Finale ($BigMoney) for simple projects. For jazz charts it’s more than I need. I noticed the new iPad app Notion was available so I figured for $15 I could hardly lose. What a great purchase! Part of my deal is this: I can be very frugal about some things. For Songwriter I really should have a midi keyboard and the expanded Mac keyboard with the number pad. But I would only be buying those items to create jazz charts, and I’m very fast with just a mouse. So no big deal. Notion, however, being on iPad has a keyboard on screen. Note entry is extremely fast. It takes me half the time or less to create a jazz score in Notion than Songwriter. And the printing is beautiful. I’m going to attach a simply chart I just created for a beginning student of mine to start improvising on a hymn she likes. The print is clear, has many option for spacing and size and fonts. Allow for far more than I need, once again, for creating jazz charts. If I wanted to create a full piano arrangement with Notion there are literally no tools or markings that would be lacking. It’s a powerful, powerful application. The other advantage is that as I’m sitting at the piano with the iPad in front of me I can have Notion up and running. By the time I’m done arranging the PDF is ready to go. It’s quick and efficient. Also: I like to compose in different places…like on my couch. I tried to wheel my grand piano over to the couch. Too heavy. And the upright piano hurt my supple thighs. But the iPad is featherweight. Nice. No more bruised thighs from holding up a 600lb piano on my lap. I may be wrong about this, but I also believe that the Notion app has more chord symbol variations and choices than Songwriter has. Even for expanded chords every option is seemingly available. I haven’t had a problem getting the app to print the chord symbol exactly how I want it. This has been a problem of mine with Songwriter. Don’t get me wrong: I am NOT posing as a professional music printer / publisher / whatever. Just a jazz pianist and teacher who enjoys printing his own charts to make them look nice. And for this I say NOTION. Look below for a simple, yes I know how simple it is, example of a chart from Notion. If you look online for other examples you’ll see how Notion can also print extremely complicated, beautiful scores. I don’t need that level of arrangement. These are jazz charts. You know. Jazz charts. Thanks for reading! Go get Notion today. If you’re a jazz guy the basic $15 version with no additional add-on instruments or in app purchases is PERFECT. End of line. I really enjoy composing jazz for piano. Just solo piano. Over the years I’ve gone through different phases where I was less jazz and more contemporary piano, more pop. But lately, and I think continuing into the distant future, I’m going to be a more strictly defined jazz composer. Jazz is extremely satisfying as a pianist to perform and as a composer to write. The density of the chords and the variations are endless. It allows me to express things in so many ways within one composition or using one melodic idea. Simply changing the style from swing to straight alters everything. I love that. I love that I can write the piece thinking it is one style and begin to practice it and find that it works much better as some other creature. I have not had that experience with other genres. Since improvisation is such a vital part of jazz it allows me to improvise over the chords with which I arranged my melody. That is a joy that only jazz pianists can understand. Being a classically trained pianist, having a degree in piano from a university, I was taught to never stray from the printed notes. And in college I did not unless it was by mistake…lots of mistakes. But in jazz one is encouraged to stray from the path. To create. To alter. For someone who wants to write music and who does write music jazz improvisation is freeing and amazingly fun. I cannot compare playing jazz live to an audience with anything else performance-wise. There is no better performance feeling I have ever had. Taking that amazing feeling to the next level, imagine playing your own piece for an audience and being able to improvise, recreate it on the spot. That’s the most satisfying feeling you will ever have as a composer in my opinion. The last couple of pieces I have written I have composed thinking of lyrics. For whatever reason, probably due to being raised listening to rock and pop with lyrics, this helps me create better melodies that sound planned and not a result of a chord. The lyrics are coming first, then the melodies quickly, then the accompaniment crashes in easily. I take time along the way to craft progressions and fine tune voicings, but the initial lyrical melodic thinking has been key to what I consider successes. Take a look below at some YouTube examples. Nora: I was going to name this piece “What’ Wrong, Nora?” for Nora Jones because she used to be an amazing jazz musician. Then she went to country and now is trying pop. Her jazz stuff is her best stuff in my opinion. Then I felt bad about naming it that and shortened it to “Nora”. But it’s still for her. I love the relaxed style of her playing and her songs. She is, in a word, perfect. (Until she got away from jazz. HA!) The first phrase is inspired by one of the songs from her jazz album. Baby, I Tried: “Someone to Watch Over Me” is a standard that I play when I gig. Great song. The lyrics of this piece come from that type of feeling and was a quick one to write. I Could Have Been: I wrote this piece today and immediately played it to YouTube. The repeating Eb first phrase was the start of the idea and I think I wrote the piece in fifteen minutes. But the lyrics in my head wrote this piece fast. So I think I will continue to write all my pieces with lyrics even though I do not sing or perform the lyrics. Some guys are against jazz with lyrics. I have no idea why. Lyrics connect with people. They easily convey ideas. Audiences “get” lyrics when they do not always “get” a melody away from lyrics. I don’t have a problem with jazz with lyrics, but I can’t say that I like one way over the other either. I do know that I like my compositions better when I begin with lyrics and melody. It works for me. I’ve been composing jazz piano pieces recently for a new project I’m going to title “There Is A Time”. It will be an album of jazz piano pieces composed and performed by yours truly. Composing jazz pieces is a rewarding process because I can figure in the improvisational parts and time to the end project planning. And thinking in jazz arranging mode allows me to be as creative and free as I want. For this new project I may not go the whole iTunes and CD duplication route. Eh. I may do a short run of CD’s only and put them in paper sleeves to sell at gigs and in the store here. I am going to promote this project a new way as independently and inexpensively as possible. 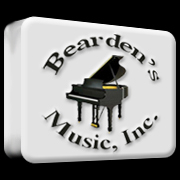 The tracks, which I am already completing and uploading, will be available on my personal website, http://www.StacyBearden.com, for $1 each through PayPal. When I have the entire project complete, about 15 pieces, I’m going to offer a physical CD to be mailed for $10 plus $2 for shipping. We’ll see how this goes. The website begins with a calendar of my performances and then continues to 30s clips of my new project via an embedded Soundcloud player with PayPal links to buy the complete mp3. Don’t make the mistake of uploading a whole music track to Soundcloud and then expecting people to purchase it when they can just listen right there. Doesn’t work. I’m hoping that the gigs will help the project sales and the project promotion will help get gigs. Those things should go hand in hand, but in reality I guess I’ll find out. Selling CD’s is hard even if you are an established artist. Selling CD’s as an independent local artist is crazy hard unless you want to spend lots of time and money promoting your project. I’m also hoping that this project will grab the attention of some labels. I don’t know. I’ve got to get a grip on how to work that out. If you comment on this post and say you saw this I will email to you for FREE one of the tracks I have listed on my website http://www.StacyBearden.com within the Soundcloud section. It’s that simple. Hit me up for a FREE tune. So if you can share this blog post or my website with your friends and colleagues I would appreciate it. I teach professionally full time. I own a music store. In this music store is a recording studio. On the side, but still at my studio/store, I design websites for musicians and businesses professionally. Finding time to practice is crazy difficult. I make sure that I leave 15m open to relax before my teaching schedule begins at about 1:30. Some days I start later like about 3:00 or 3:30. I find that after lunch or during a canceled lesson time is a good time for me to practice. I can’t image how busy musicians like myself find hours a day to practice. I get 30m in here and there throughout the day. This weekend I had a performance Saturday night at 6:30 so I took my afternoon that I had planned for relaxation and practiced. I blinked and over two hours had flown by. Then I went and played my two hour gig that night. Long day. Lots of piano, but I like that. I used to practice every morning from 11:00am until lunch. That’s difficult to also run my business and make that a reality. But if I can find time to practice and be prepared for gigs so can you. Never underestimate the value of 30m. I get a lot done in 30m because of focus. Whenever you practice make sure that you are not distracted and won’t be distracted. No phones. TV not on in the other room. No visitors. Kids in other rooms…speaking as a parent. During my 30m piano lesson cancellations it’s a perfect time because I already had scheduled help outside my studio door. There is a scheduled time already with no interruptions. Perfect. So, if you’re a teacher full-time or part-time and have a cancellation…just practice. If your students pay you up-front monthly (and they all should) you’re getting paid to practice. Again: perfect. Make it happen. That is all. iPad. If you are a gigging musician do yourself the biggest favour (notice the fancy spelling) you have ever done and get an iPad. Doesn’t matter which one, just not the iPad Mini. You’ll need all the screen size you can get, but once you follow my little tips you will have music larger than a hymnal to work with. Follow these cool-daddy steps to becoming paperless and never worry about ceiling fans or random breezes or bad lighting again. 2: Play Candy Crush a couple of hours on the massive screen. Stop. 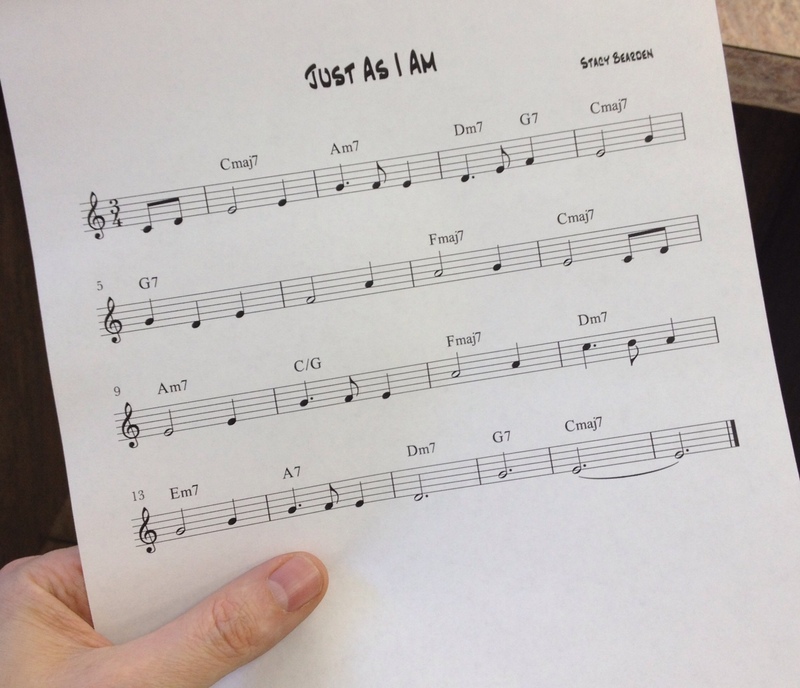 4: Learn to use this easy, free app to take photos of your sheet music AND make PDF’s of each one. Amazingly simple and full of options geeks will love. 6: Unreal book opens said PDF’s from email or other apps and organizes them into categories and set lists. Tons of options are available here as well, and I won’t go into them because there are many. I use about half. 7: If you hand write your own lead sheets or whatever, PLEASE go today and download a free trial of “Songwriter” here: http://www.finalemusic.com/products/finale-songwriter/ After a 30-day trial it’s only $50. This is a Finale product but it’s hundreds of dollars less if your music is not crazy intensive and needs full orchestration. So, perfect for lead sheets and piano parts. 8: Almost all word processing programs can save to PDF now. So if you’re somebody who likes charts with just lyrics and chords you can go that route. Advantages of iPad with UnrealBook: there are no disadvantages, the iPad battery is crazy long-lasting, it’s backlit, more or less limitless space for sheet music, lightweight, compact, great music software available for under $10, email music straight from iPad to others during a gig or before (preferably before), makes notes of music with your finger, etc. etc. etc. I can’t say enough good about it. “But, Stacy…I just have to play this one piece for this church service, so I don’t need to take my iPad for that one piece. I’ll just print the music like it’s 1984.” WRONG. This weekend I thought those words. I’m playing and singing a song during the worship time and a stupid gust of wind (because a smart gust wouldn’t have done it) slaps my printed sheet off the piano. Now I’m playing, singing, and grabbing floating paper at the same time. That happened two days ago. I’ll never go with one piece of paper again. The iPad solution is never overkill. Never. Many times teachers teach music theory aside from the practicing of literature. They may cover things like scales and chords but they seldom apply their theory practically to the study. In my own music I analyze measures and chords and write chord symbols above the staves. This helps me to better understand the structure and movement of the piece of music and aids in memorization. It’s a practice I have used since college. Analyzing chords or chordal structures within passages should not be used as a replacement for reading but as a method to condense reading into larger blocks of notes that mean one thing. I find that when I have my music analyzed and defined above the staff that my hands jump to their places faster than otherwise. It’s a shortcut to better more efficient reading for me and my students. This applies to all genres of music. Give it a try.